Mentor Artist Gabby Gamboa with student at Oak Hill. A new exhibit focused on art by children with special needs from Oak Hill School, Marindale Preschool, San Jose Middle School, Terra Linda and Tamalpais High School. 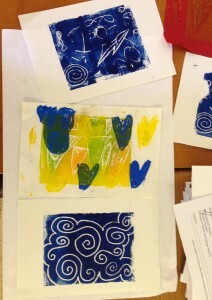 Under the guidance of Youth in Arts Mentor Artists students have learned to develop their artistic skills to express ideas, emotions and visions. 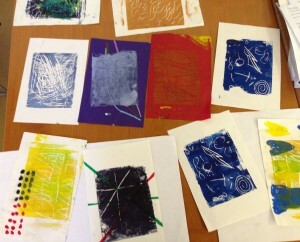 Using multiple senses, students have learned to weave, paint, sculpt, print, draw and tell their own stories. YIA Mentor Artists include: Gabby Gamboa, Lizz Domash, Sophie Cooper, Melissa Briggs, Thomas Arndt, Nydia Gonzalez and Suzanne Joyal. Viewers will see colorful Masks, weavings, paintings, monoprints, sculptures and photographs. Hands-on activities for visitors of all ages. FREE school group visits are available. 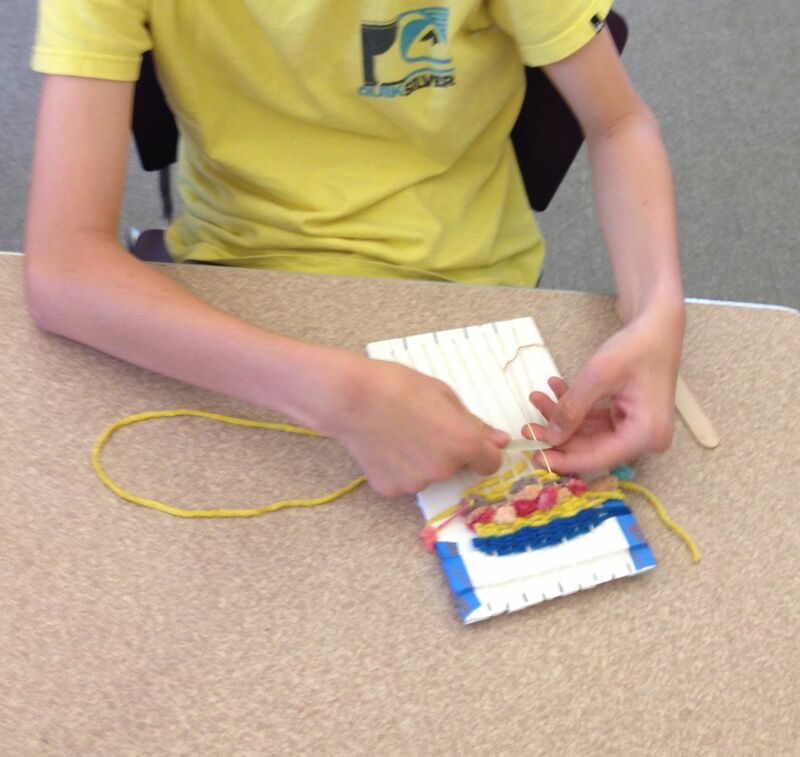 Read about YIA Gallery programs here for more information. 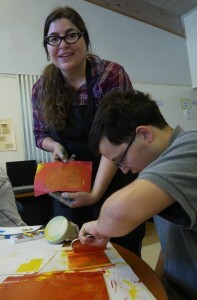 Thanks to the National Arts & Disability Center for the accessible gallery tools. Student monotypes and mono prints.